Open Doors have compiled a ‘World Watch List’ indicating that 4,305 Christians were killed in 2018 simply because they were Christians. This increase of 25 per cent on the 3,066 killed in 2017 means 1,000 more Christians murdered. Worldwide, 245million Christians are apparently persecuted simply for believing in Jesus. In its ‘Religious Freedom Report’ for 2018, Aid to the Church in Need concluded that 300million Christians were subjected to violence. The bulk of this persecution is at the hands of Islam. With reason Christianity has been called ‘the most persecuted religion in the world‘. Not all persecution is murderous. Typical of the everyday oppression faced by Christians in Muslim countries are the Algerians Christians forced out of the tent they were worshipping in by police on 28th January after their church building was sealed by authorities. The tent, set up in the grounds of Azaghar Church, enabled the 300-strong congregation to continue worshipping following the forced closure of their church building for supposed ‘health and safety’ reasons. 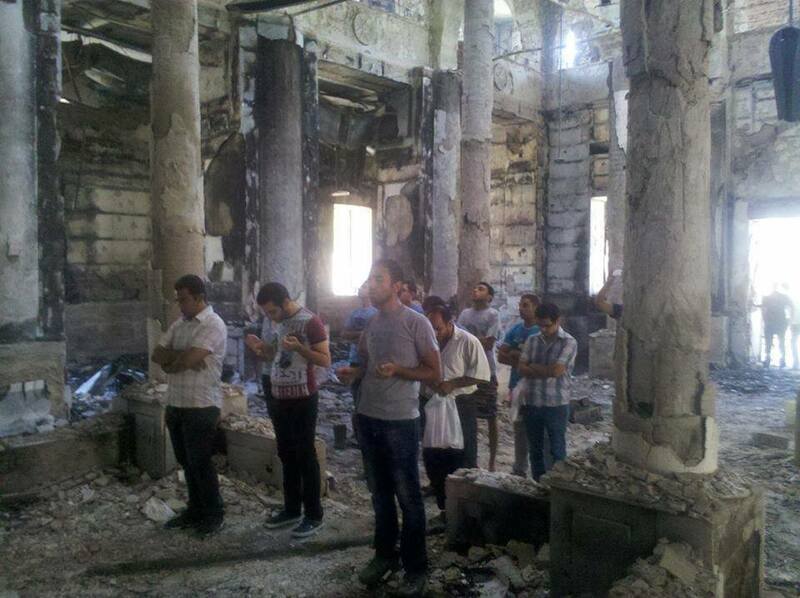 No one died, no bombs exploded, just another example of the persistent harassment Christians face under Islam. That a persecuted Christianity is being disregarded by the politically correct is no more than we should expect. What we should find surprising is that a man acclaimed as a church leader by millions of Christians should downplay the dangers Christians throughout the world face from a militant Islam. Having travelled this month to the UAE ‘as a brother’, next month Pope Francis will travel to Morocco. The Italian consul in Morocco told Italian news agency Turiweb that the Pope’s visit would highlight the importance of Morocco as ‘a centre of excellence in intercultural and interreligious dialogue’. Morocco is a country where it is illegal to share the gospel with Muslims. Unfortunately, Pope Francis’s stance on Islam seems to be dominated by wishful thinking. According to Francis, ‘Authentic Islam and the proper reading of the Koran are opposed to every form of violence.’ In this Francis joins other experts on Islamic theology and practice such as George W Bush after 9/11 and Tony Blair after 7/7. Clearly they know more about Islam than leading Islamic scholars who wish to address the problem of violence within Islam. It would appear that whilst Christians throughout the world are being persecuted by Muslims, the Pope’s intent is to exonerate Islam from its responsibilities. He is doing this whilst within Islam many observant Muslims are attempting to bring a measure of reform to Islam so that it can co-exist with the modern world. Apologists for Islam are oblivious to the fact that they are making matters worse by absolving Islam. By approving of Islam as it presently exists they make any change for the better much more difficult for those Muslims who wish to bring Islam into the 21st century. The immediate predecessor of Francis, Pope Benedict XVI, being a more learned man generally as well as a leading theologian, brought historical insight to our present situation. In his 2006 address at Regensburg, Benedict made clear that there is a specific link between violence and Islam. To illustrate his case, Benedict cited a 14th century dialogue between the Byzantine Christian emperor, Manuel II Paleologus, and a Persian scholar about the concept of violence in Islam. ‘Show me just what Muhammad brought that was new, and there you will find things . . . such as his command to spread by the sword the faith he preached,’ Benedict quoted the emperor as saying to his Muslim interlocutor. John Paul II added: ‘They will invade Europe, Europe will be like a basement, old relics, shadows, cobwebs. Family heirlooms. You, the Church of the third millennium, must contain the invasion.’ In the meantime, the logo chosen by Francis for his coming trip to Morocco may be prophetic. It shows a cross surrounded by a Muslim crescent. 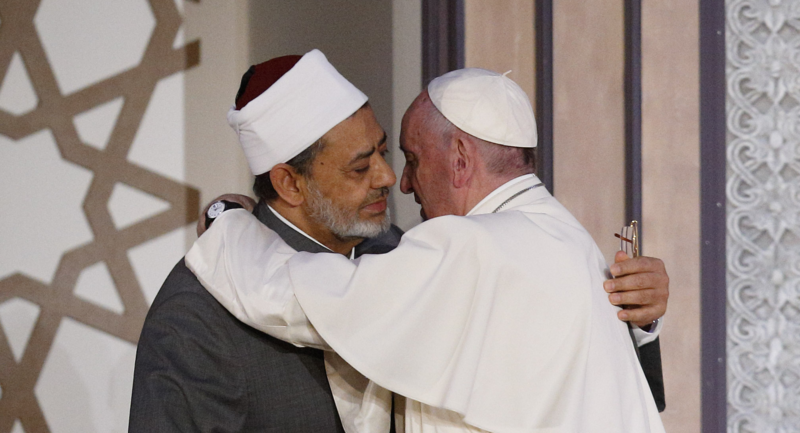 Francis now faces with equanimity the risk of a Christian world physically swallowed by Islam.